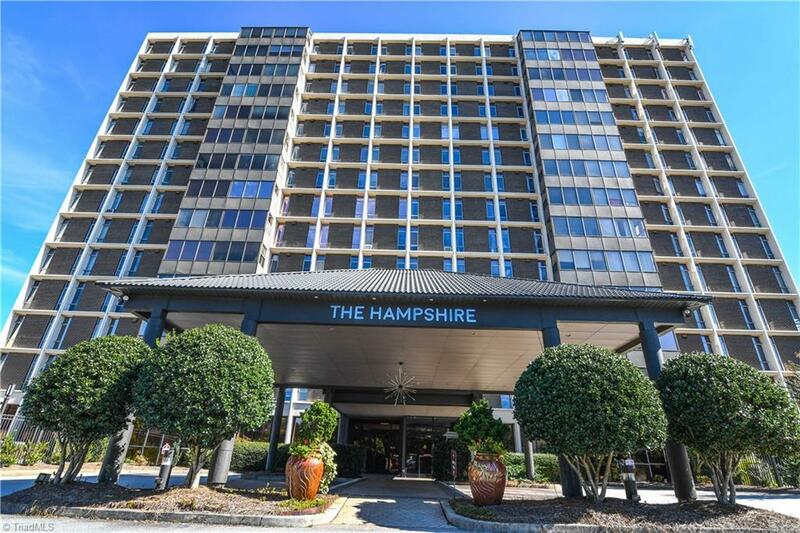 Exceptional condo on fourth floor of Hampshire Towers. Professionally designed and appointed, this unit is both beautiful and unique. Designer entrance. Open living and dining rooms. Kitchen features solid surface counter tops, buffet bar, eat-in breakfast area with built-in hutch. Master bedroom accesses dressing table, walk-in closet, and en-suite with separate shower. Guest bath with jetted tub. Laminate floors throughout. Custom window treatments. HOA covers most utilities. Best-kept secret in town!